Blowout Sale! Free Shipping Included! 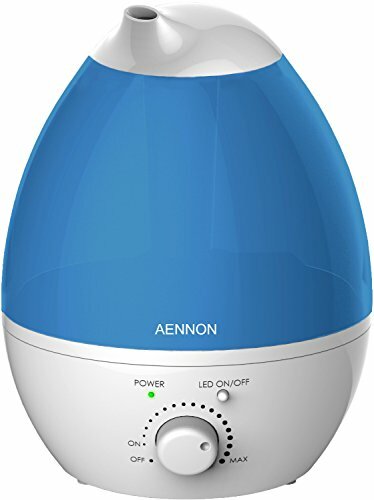 Save 51% on the Aennon Cool Mist Humidifier, 2.8L Ultrasonic Humidifiers for 20 Hours+ Use, Whisper-Quiet, 7 Color LED Lights, Auto Shut-off For Home Bedroom Baby Room Office by Aennon at KXSH 365. MPN: 2.8 Liter. Hurry! Limited time offer. Offer valid only while supplies last. A First-Class Humidifier Being Functional, Enjoyable & Attractive Aennon® offers the best humidifier to moisturize the air of your house. Aennon® offers the best humidifier to moisturize the air of your house. • Whisper quiet operation won't interfere your or baby's sleep. • 2.8 Liter capacity: working time is approx. 20 hours at low flow rate. You get 3x Scented Sachets + 2x e-Books + 1x e-Course at NO COST! If you have any questions about this product by Aennon, contact us by completing and submitting the form below. If you are looking for a specif part number, please include it with your message.